Goldblatt, David & Nadine Gordimer. First British edition of the photographer’s second collaboration with novelist Nadine Gordimer. Quarto, original cloth. Fine in a near fine dust jacket. 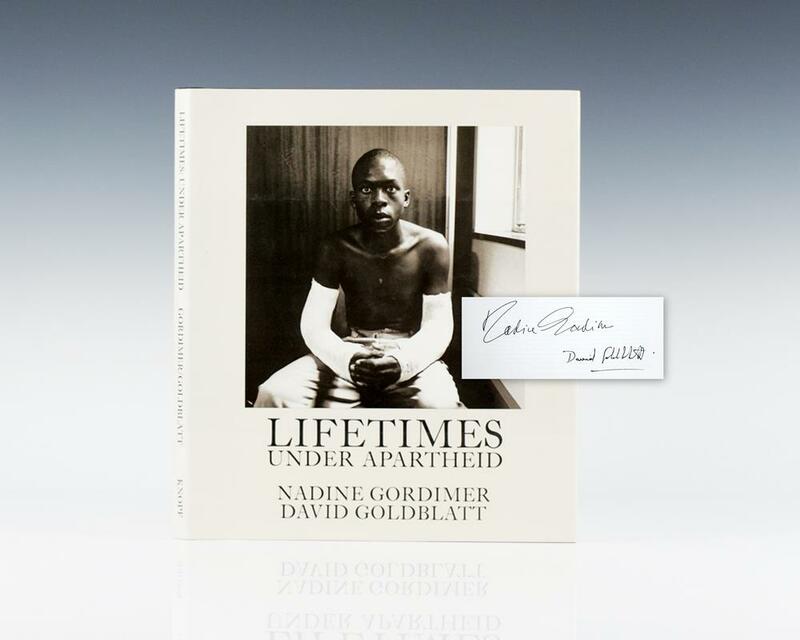 Signed by both David Goldblatt and Nadine Gordimer on the title page. South African photographer David Goldblatt has been recurrently made a fellow at universities such as Harvard and has received repeated titles as Honorary Doctor in Fine Arts and Literature. Most recently, he has been awarded the 2009 HCB Award and the 2010 Lucie Award. Lifetimes Under Apartheid applies Goldblatt's acclaimed style to depict the egregiousness of the National Party's system of segregation.